*Notas interesantes: Alemania usa los multicopteros para control de los "grafitis" en los trenes. Germany’s national railway company, Deutsche Bahn, plans to test small drones to try to reduce the amount of graffiti being sprayed on its property. The idea is to use airborne infra-red cameras to collect evidence, which could then be used to prosecute vandals who deface property at night. A company spokesman said drones would be tested at rail depots soon. But it is not yet clear how Germany’s strict anti-surveillance laws might affect their use. Graffiti is reported to cost Deutsche Bahn about 7.6m euros (£6.5m; $10m) a year. The BBC’s Stephen Evans in Berlin says using cameras to film people surreptitiously is a sensitive issue in Germany, where privacy is very highly valued. A Deutsche Bahn spokesman told the BBC that its drones would be used in big depots where vandals enter at night and spray-paint carriages. The drones would have infra-red sensors sophisticated enough for people to be identified, providing key evidence for prosecutions. But it seems the cameras would be tightly focused within Deutsche Bahn’s own property – people or property outside the depots would not be filmed, so easing any privacy concerns, our correspondent says. The drone issue is also sensitive in Germany because earlier this month the defence ministry halted an expensive project to develop Germany’s own surveillance drone, called Euro Hawk. Excelente demostración de como avanza la tecnología de los multicopteros. This website relates to the remote-controlled model aircraft variety of drones, not military drones. To most people, the word drone connotes a weapon of war. While the word drone finds its roots in the military, in reality a drone is any of a number of types of unmanned flying craft— some used in warfare, others used for pleasure or profit. For the purposes of this website, the word drone refers to the remote-controlled model aircraft variety, (“RCMA”), and nothing else. The federal government has no authority whatsoever to regulate the operation of remote-controlled model aircraft. Despite what you might have seen, heard or read to the contrary; despite the FAA’s claim that it has authority over RCMA; despite the FAA having sent several cease and desist letters, (obtained recently via FOIA request by Patrick Mckay), to persons who were operating RCMA for commercial purposes, there exists not a single federal statute, not a single federal regulation and no case law that in any way regulates the operation of RCMA. Federal statutes, regulations and case law concerning RCMA do not exist. In the absence of any federal statute, regulation or case law that prohibits a particular activity, that activity is completely legal. That’s how the law works. Nothing is illegal solely because a government agency claims that it’s illegal. There must be something engrossed in our bodies of law that actually states that it is illegal. Since there is nothing at all in our bodies at law that make it illegal, at this time, RCMA are completely unregulated federally, and anyone is free to operate them in any manner they wish, whether for pleasure or profit, regardless of what the FAA might claim. This is not to say RCMA should or should or that they will or will not be regulated at some point in the future. I am expressing no opinion about that. Rather, I am asserting that at this time, they are not federally regulated. Remote-controlled model aircraft are not “aircraft,” as defined in federal statutory and regulation language. The federal statutes that govern aviation are found in Title 49 Section 44101, et seq. of the US Code. Under 49 USC 40102, “aircraft” means, “any contrivance invented, used, or designed to navigate, or fly in, the air.“ The federal regulations that pertain to aviation are found in 14 CFR 1.1, et seq. Under 14 CFR 1.1, “aircraft” means, “a device that is used or intended to be used for flight in the air.” Both the statutes and regulations define aircraft similarly, and in extremely broad terms. Taken literally, these definitions would include many things. Take for example, paper airplanes. Paper airplanes are ”contrivances” or ”devices,” and they are ”designed to…fly” or ”intended…for flight” in ”the air.” Indeed, that’s their sole purpose. They clearly meet the literal definitions of aircraft. Therefore, paper airplanes should only be operated, if they are registered, (49 USC § 44101, 49 USC § 44103 and 14 CFR Part 91.203); if the person operating them holds a proper pilot certificate and medical certificate (14 CFR 61.3); and if the paper airplane has itself been issued an airworthiness certificate (14 CFR Part 91.203). Moreover, in the event of a paper airplane crash, the FAA and NTSB would be required by law to investigate (49 USC § 1132). 49 CFR Sec. 831.2, states, in relevant part, that the NTSB “is responsible for . . . all accident and incident investigations . . . where the accident or incident involves any civil aircraft….” (Emphasis added.) A civil aircraft means aircraft other than a public (government operated) aircraft. (14 CFR Sec. 1.1) If a paper airplane is an aircraft, the NTSB must investigate if one crashes. Now replace the words paper airplane with remote-controlled model aircraft. RCMA are also unquestionably “contrivances” or “devices,” that are “designed to…fly” or “intended…for flight” in “the air.” Yet like paper airplanes, the FAA has never historically treated RCMA as aircraft. RCMA have never been required to be registered; they have never been required to have airworthiness certificates; their operation has never been limited to those with the proper pilot and medical certifications; and the NTSB, in defiance of law, has never swooped in to investigate when a RCMA has hit a tree and crashed. How can the FAA now insist a RCMA rises to the level of being an aircraft for safety reasons, but that same RCMA does not merit an investigation if it collides with the ground? As is the case with paper airplanes, each and every RCMA has also been operated with open disregard to applicable aircraft regulations, and since the FAA has done nothing to prevent it since its inception, it also follows that the FAA also does not consider RCMA to be included in the definition of aircraft. Bear in mind that it’s not as if the FAA was suddenly surprised to learn about RCMA, and that not asserting control over them was a mere oversight. RCMA are not a new phenomenon. They far pre-date the FAA’s creation. The FAA was well aware of RCMAs, their characteristics and their capabilities when the definitions of aircraft were adopted. The FAA’s historic and complete noninvolvement with RCM indicates it purposefully eschewed the role of regulator. RCMA are not aircraft because the FAA never treated them as an aircraft. In fact the FAA recently admitted publicly, that RCMA are indeed treated differently than aircraft. A recent “tweet” from @FAASafetyBrief suggests that FAA certification is in the works. 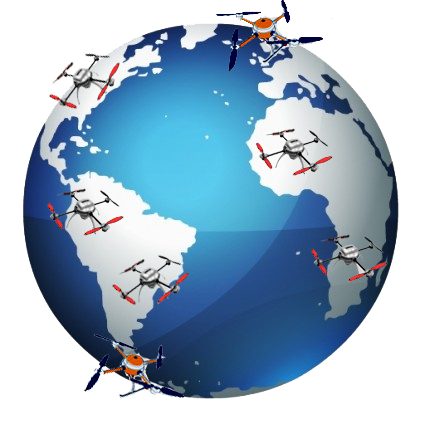 @FAASafetyBrief – We also plan to weave unmanned aircraft info into future articles, e.g., how to keep it airworthy and certified. If the FAA is now stating that it is planning to certify RCMA, by definition certification is not currently required. Since all currentaircraft must be certified, the FAA is admitting that RCMA are not aircraft. Suddenly, if used commercially, remote-controlled model aircraft are claimed to be aircraft. Although no enforceable statute or regulation has been adopted or changed, and no case law has been decided to support it, the FAA is now repeatedly claiming RCMA, when used commercially are aircraft and subject to its authority. It relies on Title 49 and 14 CFR as a basis for its newly claimed power to regulate commercially operated RCMA as aircraft, despite the fact that no language in either the statutory or regulatory definitions of aircraft makes the exchange of money a factor. Nor is the exchange of money found within the language of the very document the FAA had always provide as a courtesy as guidance to RCMA operators— Advisory Circular 91-57. Since RCMA are exempt from registration, pilot certification, airworthiness certification and accident investigation, how does operating them for compensation magically make them aircraft? The FAA has gone as far as sending some folks what are essentially pretend cease and desist letters in an attempt to scare them into not operating commercially. Since there is no law to back up the FAA’s order to cease and desist, those letters are entirely meaningless; have no force of law behind them; and can be ignored with impunity. Of course one might incur legal fees trying to fight a cease and desist letter regardless of its merit, which explains why those who have received them have self-grounded themselves. [UPDATE: 02/04/2014] Recently released copies of FAA “cease and desist” letters, obtained via FOIA request submitted by Patrick McKay, indicate the FAA is indeed, as I stated in the paragraph above, lying about the law in these letters, and are in fact pretending to have authority over RCMA. Law (versus Non-Law). Law, with respect to aviation, exists in three forms: federal statutes, federal regulations and federal case law, where the statutes and/or regulations have been interpreted. If no law exists in any of these forms, then no such law exists. One need not obey any law that does not exist. The United States Code, Subtitle VII. Federal statutory law is enacted by Congress and found in the United States Code. The federal statutes that govern aviation are found in Title 49 USC Sec. 44101, et seq., and have the force of law. Current federal aviation statutes find their roots in the Federal Aviation Act in 1958, as revised. The Act basically provides the big picture with regard to aviation. Most importantly, it established the FAA, and granted it power to oversee and regulate matters relating to the safety and use of American airspace though the promulgation of regulations. As such, although the US Code addresses aviation law in broad terms, the details of aviation laws are actually found in the FAA regulations. The Federal Aviation Regulations Federal regulations are promulgated by the FAA and found in the Code of Federal Regulations. The federal regulations that pertain to aviation, (the “FARs”), are found in 14 CFR 1.1, et seq., and have the force of law. There is nothing in the FARs that concerns RCMA. The FAA cannot just make up regulations as it goes along, to enforce activities that it simply wishes to enforce. There must exist an actual statute or regulation for the FAA to enforce. The FARs are the only federal regulations that exist pertaining to aviation, and are the only regulations that are legally enforceable. You’ll not find any that concern RCMA. You will see regulations that apply to other craft, such as balloons, rockets and even kites. So the FAA clearly contemplated flight-capable craft other than airplanes and helicopters when it adopted the current regulations. If the FAA had intended to regulate RCMA as well, it would have done so. It didn’t. Federal Case Law. Federal case law is, in a nutshell, the collection of decisions made by adjudicative bodies concerning FAA enforcement actions. For example, the FAA may issue an order suspending a pilot’s certificate or it may impose a civil penalty. Enforcement actions may be appealed by way of a hearing before an NTSB administrative law judge. That judge’s decision may then be appealed to the NTSB Board. Finally, the Board’s decision may be appealed to the U.S. Court of Appeals. Whatever the final decision in the matter is, at whichever stage the controversy ends becomes precedent, and that decision essentially has the force of law under the doctrine of stare decisis. At this writing, there is no case law concerning commercial RCMA use. There will be soon. In Administrator v. Raphael Pirker, NTSB Docket CP-217, the FAA is trying to fine Raphael Pirker, (who is being defended quite capably by Attorney Brendan M. Schulman), for “reckless operation” of a remote-controlled model aircraft. Pirker was hired by the University of Virginia to obtain aerial video of its campus. Although the FAA alleged in its Order of Assessment, (its Complaint), that Pirker was flying for compensation, interestingly enough, it did not use that allegation as a basis for the proposed assessment of a civil penalty of $10,000.00. Instead it relied on Pirker’s alleged violation of FAR 91.13(a) that states, ”no person may operate an aircraft in a careless or reckless manner so as to endanger the life or property of another” as the basis. However, by not using commercial use as a basis of the proposed civil penalty, and relying solely upon an allegation of reckless operation, the FAA has also essentially admitted in its own Complaint that commercial use is not prohibited. If Pirker prevails, it still won’t settle the specific commercial use issue because that was not a basis of the FAA’s Complaint. However it will settle the overall question as to whether the FAA has authority to regulate RCMA at all, which would, of course, include commercial use. Advisory Circular 91-57, entitled, “Model Aircraft Operating Standards” and published in 1981, is essentially a letter of guidance. Compliance with its language is entirely voluntary and it is merely a list of ​common sense ​suggestions, and ​is not legally enforceable. The FAA 2007 ​Clarification​ is merely ​a document that clarifies the FAA’s own current ​policy​ ​ concerning operations of unmanned aircraft in the National Airspace System. ​Although it does in fact state that remote-controlled model aircraft may not be used commercially, it’s an Agency policy statement. A policy statement is not legally enforceable. ​The FAA Modernization and Reform Act of 2012, specifically Title III, Subtitle B is an Act of Congress, but in and of itself does not compel any person to do or not do anything. The Act contains a number of ​directives to the FAA to develop regulations concerning the integration of unmanned aircraft into the national airspace system. By definition, Congress having directed the FAA to develop regulations means none currently exist. Moreover, these directives​ ​​apply to ​the FAA​ ​only, not the general public. They are not ​themselves regulations, and are not legally enforceable. US DOT’s Unmanned Aircraft Systems Comprehensive Plan, published in September, 2013, is merely a five-year road map. It is self-described as a list of goals and objectives, to be revised annually, in furtherance of the FAA Modernization and Reform Act of 2012′s directive to the FAA to integrate unmanned aircraft into the national airspace system. An agency’s goals and objectives are not ​regulations, and are not legally enforceable. So, if you’ve made it this far after reviewing the sources above, you will see that there really are no federal statutes, regulations or case law that applies to RCMA. This is not to say that I believe there should or should not be, or that there will or will not be, but rather that there simply are no such regulations at this writing. My intent is to observe and report on how the area of RCMA law develops. * Interestingly enough, a business known as PowerUp Toys, now markets a neat little device that attaches to a paper airplane. It has a propeller and battery, and permits a person with a Smartphone to operate it remotely via Bluetooth. If the FAA claims that RCMA are aircraft, this device will place the FAA in the absurd position of having to argue that a paper airplane is now a RCMA, and indeed an aircraft.